My hubby bought this deal from Living Social offering Per Panel Painting + Polish + Scratch Removal: 1 Panel with 2-Yr Warranty (RM93) / 3 Panels with 2-Yr Warranty (RM267) / 5 Panels with 5-Yr Warranty. He bought 1 panel + 5 panels. My hubby called up this place Visual Crest for appointment at 10.30am.But when he reached here, the shop is still not yet open and the bos only come at 11am. There are 4 cars ahead waiting for the car to be paint and he should be the 5th person. The service is very slow and he need to go back first because they can't finish it within few hours. Initially the bos said he need to wait 3 days for them to complete.He must be kidding..How can we expect this kind of bad service provided here. 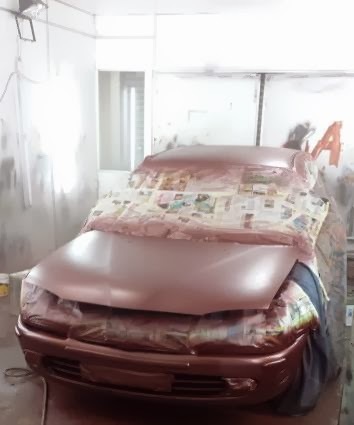 Need to wait 3 days to complete the car painting?? I wonder how many staff they have. So my hubby insist he wanted to use the car and need to complete it within a day. Actually, the bos also promised him within half day can finish the whole painting process.So troublesome that he have to called his brother to pick him up..and waited until 4pm..he called up the bos again to check the status..the bos said "ok,,6 pm should be done by then".. I remind my hubby to called him up again at 5.30pm to check..but he did not answer his call and not even replying my hubby sms..Then he called up again and said ok will finish at 9pm..so he can come to collect..Delay again with such unacceptable excuses.. and when my hubby reached..he really in a shock that his car is still there, not even start the painting process..!!! And there is only ONE PERSON who paint his car for that 6 panels. So disappointed with this place!! End up he back at 1am!! 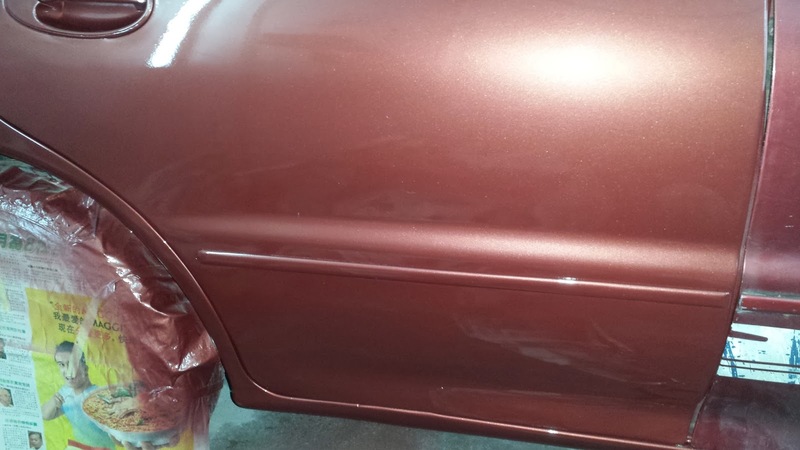 Pictures shown here- Comparison before and after the car painting. Overall, it was not 100% satisfaction and very disappointed with this deal. The service is terrible and lots of frustration. Each part is painted but done very quickly and not balance. Some part is not painted properly and the rubber on the side of the car is not placed in a proper order. Anyway, we have redeem it and not thinking to further complain for a refund. The whole car looks very new now for the coming CNY. 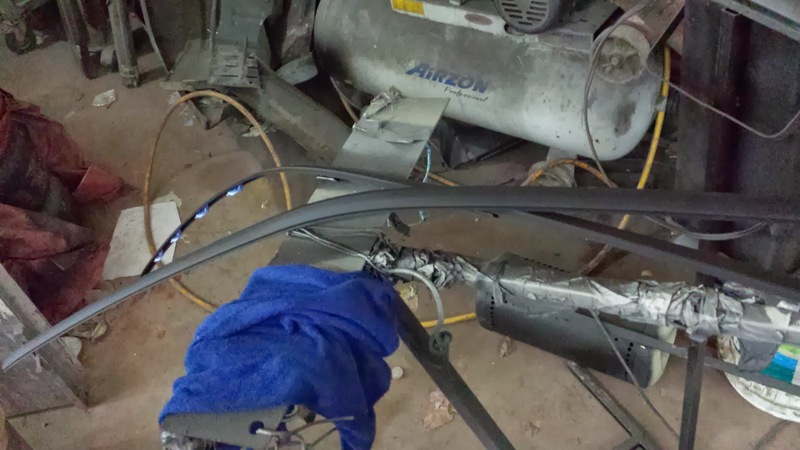 The frustrating part is they did not have enough time to do the polishing. Need to make another appointment to visit this place again..Sigh.. Well you have been quite unfortunate. 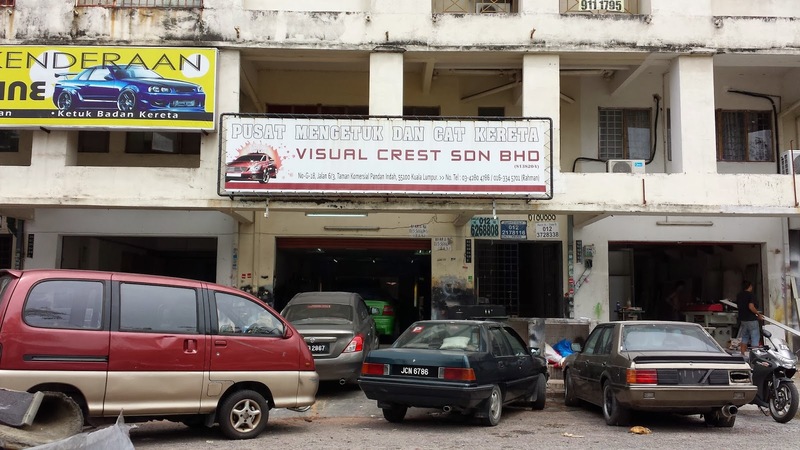 I have sent my car and have also recommended few of my friends to Visual Crest and their service was FANTASTIC. The job was completed within the duration as the boss promised. 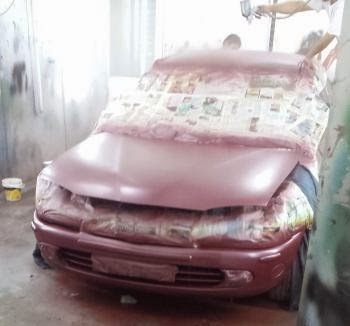 I have bought the deal from Groupon and infact i still look forward to other promotions on car painting particularly from Groupon. Visual Crest paints car for a great price. and they take time to tape, disassemble and reassemble your car at that price. The boss is a nice chap and who tries to please his customers. ...Too bad for you lady that you had a hard time with your car. 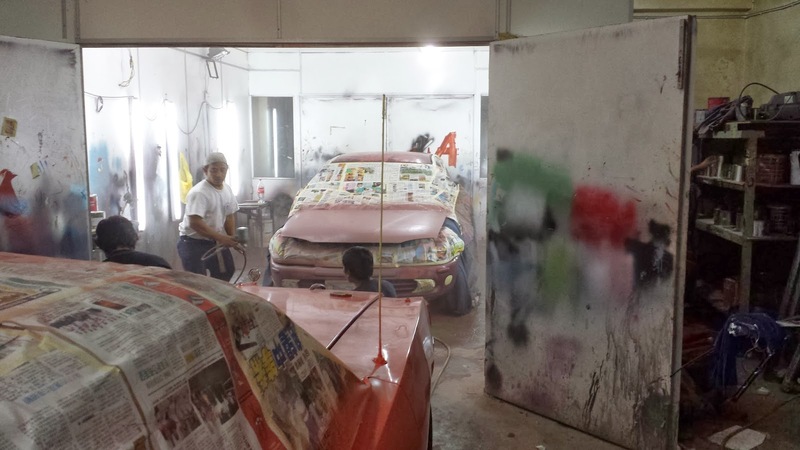 Among all the car painting shop i have been to, this is one of the best. Reasonalbe price, good services and pleasant rate. Somebody deeply scratched four doors of my KIA Forte and I sent my car for painting (4 panels) at visual crest pandan indah. They charge me RM 350 for all four doors. The service was good and I managed to collect my car next day. honestly very cheap and value for money. I faced some problems. Promised and ready for picking up the car but never pick phone. Frustrated on the poor service and shown is irresponsible..